A CHANCE chat across the fence between two neighbours has led to the replacement of a stolen antique. Thieves broke into the Laidley Pioneer Village in October last year, and stole an antique fire extinguisher the group had been using as a donation receptacle. Vice-president John Barwell said the fire extinguisher had been of immense sentimental value for the group and labelled the theft a "tragedy". But a chat with his neighbour Bob Sanderson lead to the donation of two fire extinguishers of the same design and era. 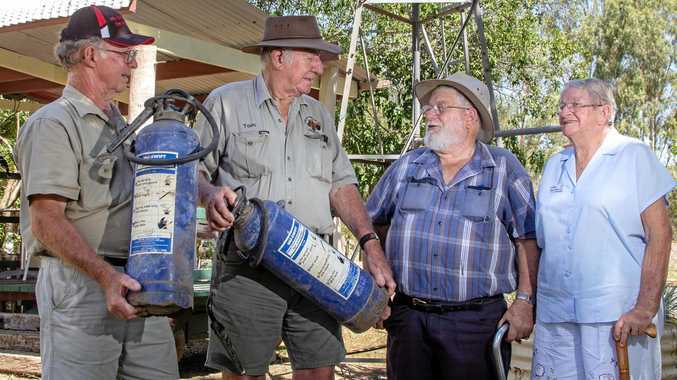 Mr Sanderson, a retired fisherman, offered the pair of extinguishers to the village after reading about the theft in Laidley Plainland Leader. The former skipper said the extinguishers had been pulled out of his fishing trawler Harvest Moon in the '80s and had sat underneath his house since. "(They were) half buried in mud - I had to dig them out," Mr Sanderson said. While the Harvest Moon has since been sunk, the ship's legacy will live on - far from the ocean. Mr Barwell said the donation was wonderful. "We are really, really grateful to Bob and Gloria (Bob's wife) for bringing them down," Mr Barwell said. "Often these sort of things finish up in the scrap heap, at least here we've got the chance to tidy them up a bit and then we'll put them on display with a photo of Bob's trawler." The original fire extinguisher which was stolen had been used as a donation box, and Mr Barwell said the village's volunteers would give the replacements a face lift and likely use them in a similar manner. He said he replacement of the extinguishers had restored some faith in the community the group had lost. "We're all volunteers and it does really gave us a lift because of the generosity of these people," he said. 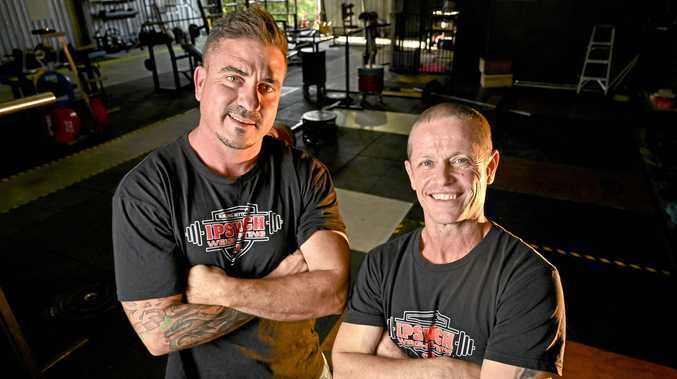 "The fact that these people were kind enough to come along, and donate it - it really does gives us guys a lift."